Most people agree that consumer reviews make them more comfortable when looking for the right service and there is nothing more reliable than reading reviews from actual clients on their real experience with your services. Create an ongoing process of asking and gathering reviews from your clients to build trust with potential clients. 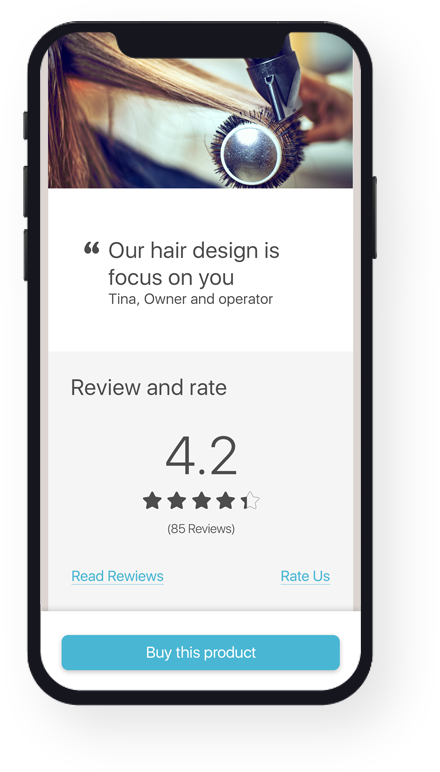 Both positive AND negative reviews can help you improve your business. uncover a business issue, process or employee problem that would’ve otherwise gone unnoticed. Provides huge benefits to both consumers and the businesses that fully embrace reputation marketing and gather actionable insights about your services and employees. Product reviews can generate massive returns. Consumer reviews make them more comfortable that they are buying the right service. Studies show that over 70% of people consult reviews/ratings before purchasing and it increases product conversion by 74%.